6 FREE Original Glazed Krispy Kreme Doughnuts! 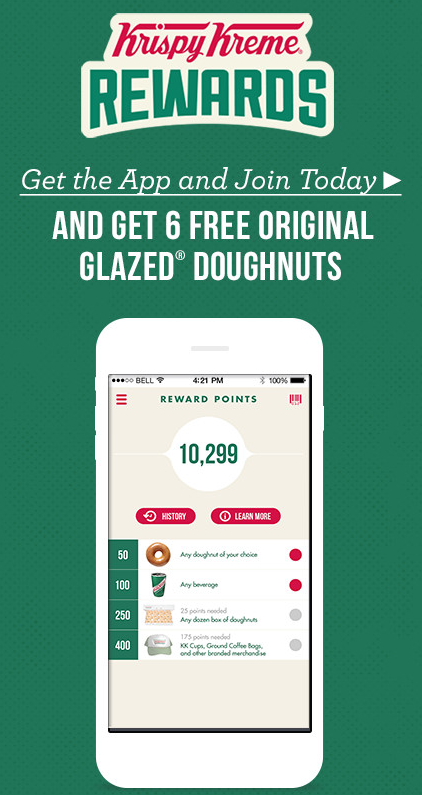 You are here: Home / FREEbies / 6 FREE Original Glazed Krispy Kreme Doughnuts! Get 6 FREE Original Glazed Krispy Kreme Doughnuts! Download and install the HotLight App and join. After you join you will get a message that says “Your FREE 1/2 dozen original glazed donuts are waiting for you”! Message may take over an hour to come through. But you get FREE Krispy Kreme Donuts; totally worth the wait!